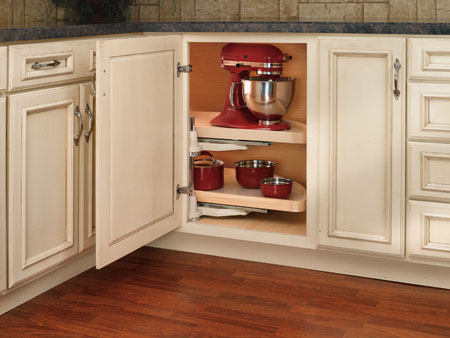 Half moon lazy susan for blind corner cabinets. 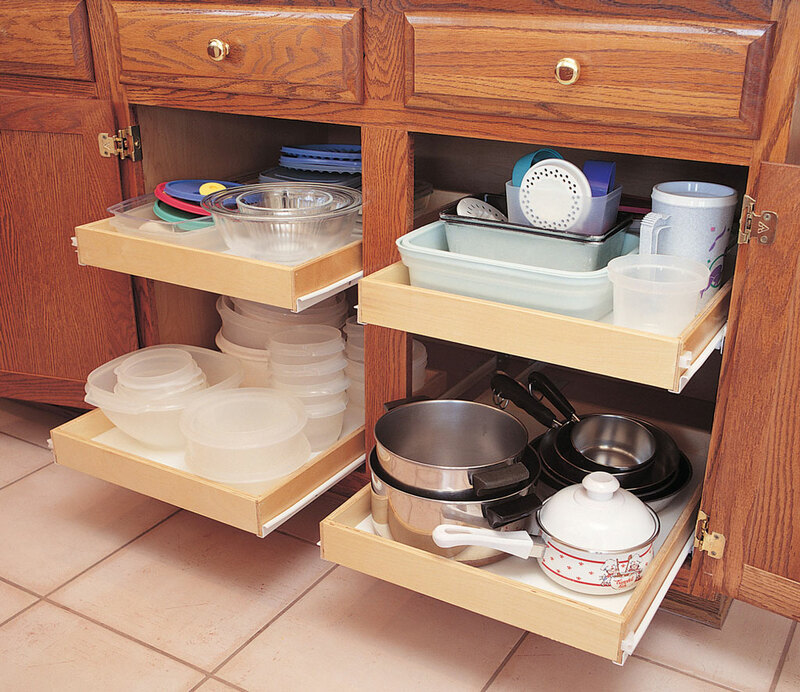 Single level shelf system pivots and then slides out for access to corner storage. Available for cabinet openings of 13 1/4", 16 1/8" and 19 1/4" includes all mounting hardware, template and installation instructions. This is a special order item and ships in about two weeks from the order date.